Been a while since I've posted any figures up. Haven't been in much of a painting mood lately. Anyway, here's my latest painted figures. 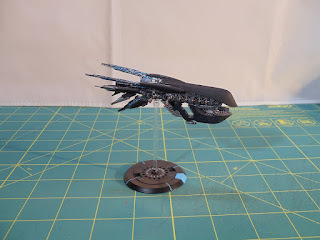 This is the bulk of the Dropfleet figures I have. FIgures all are plastic. 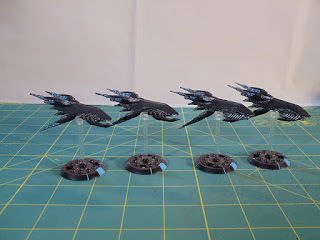 First up is a group of four frigates. 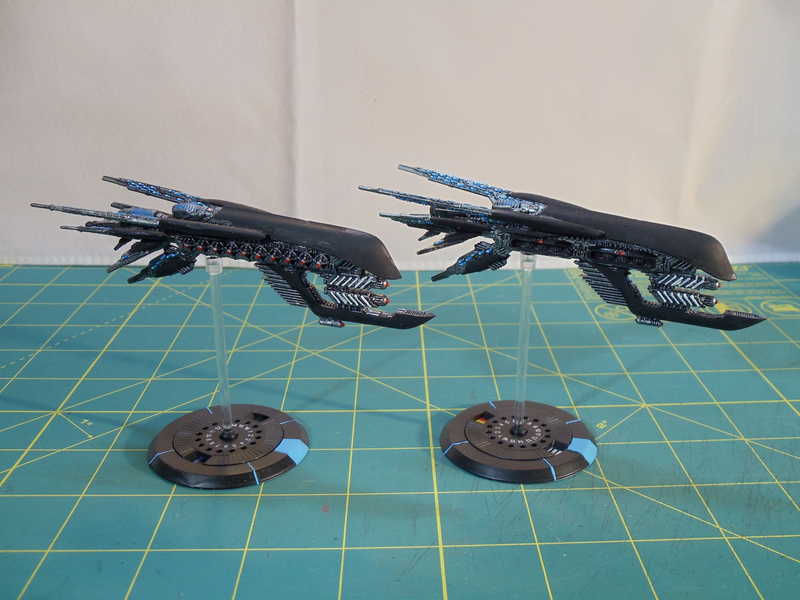 The two on the left are Europa frigates and the two right ones are Pandora frigates. 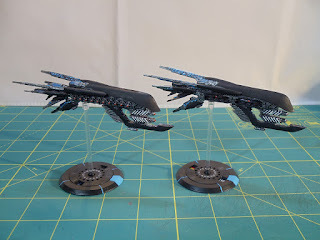 These are a pair of Orion cruisers. 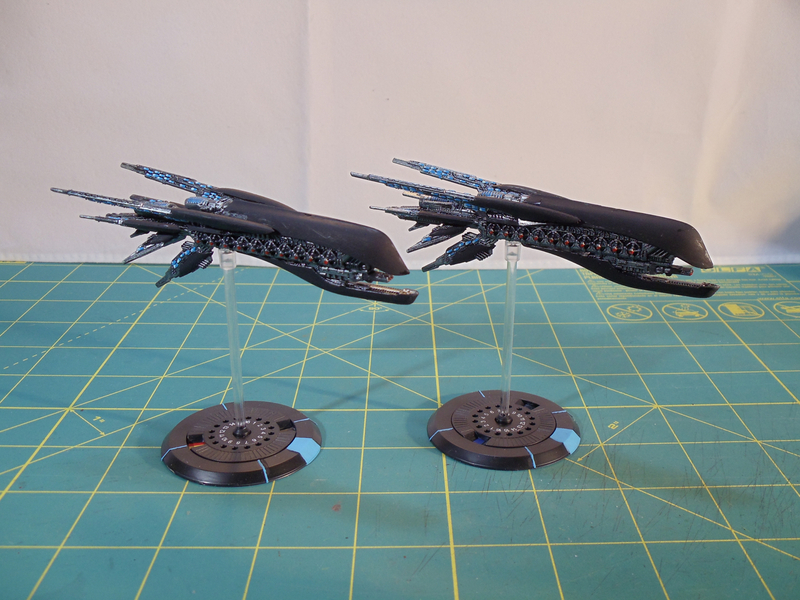 These are a Hector heavy cruiser (left) and a Bellerophon heavy carrier (right). The last ship is a Ganymede assault troopship. 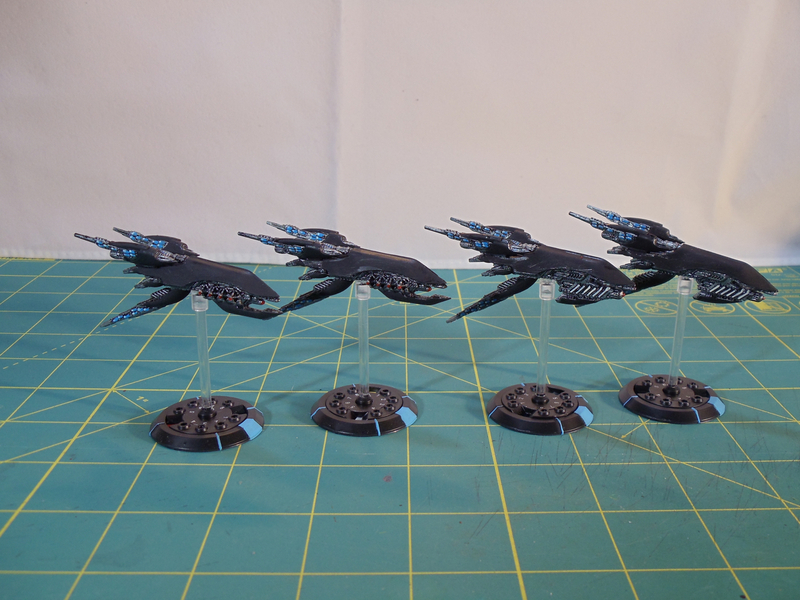 On my table right now, are three cruisers (under construction) and four more frigates. I might also do some World War 2 stuff as I think I can knock it off a little quicker. Til next time!